i've just registered so new to this site. From reading this thread do you have any Yo Eddy decals available? Just flip over to the "For Sale" section and read down to the bottom of the thread. Rody still has some sets, making more. i am searching for Buck Shaver decals or scans. All my decals long peeled off in the harsh Aussie sun. getting ready for a rebuild of the ol' 92 Wicked...solid fork is going back on, too. I'd be looking for a set of white decals for my black frame. [QUOTE=Doug Carter;3868]Reproduction Fat decals are in the works, guys. No more waiting around for Wendyll to send you the decals you paid for 6 months ago. No more hoping for the correct colors and styles to still be available. The goal is to have repros eventually available in every combination for every bike that Fat Cogs want to restore to original condition. I donno if it will ever completely be done, but the ball is at least rolling. To start with, I decided that the current decals that are on the bikes are too fragile for everyone (thus why everyone NEEDS new ones), and we're going to take a different direction with the materials, and do something that will stand up to mountain biking a bit better. The goal is to have decals that are capable of being externally applied, clear coated or left uncoated. I don't think we will be able to go to the efforts and expense to do a decal that is capable of handling powdered clear coats. The demand just isn't high enough. 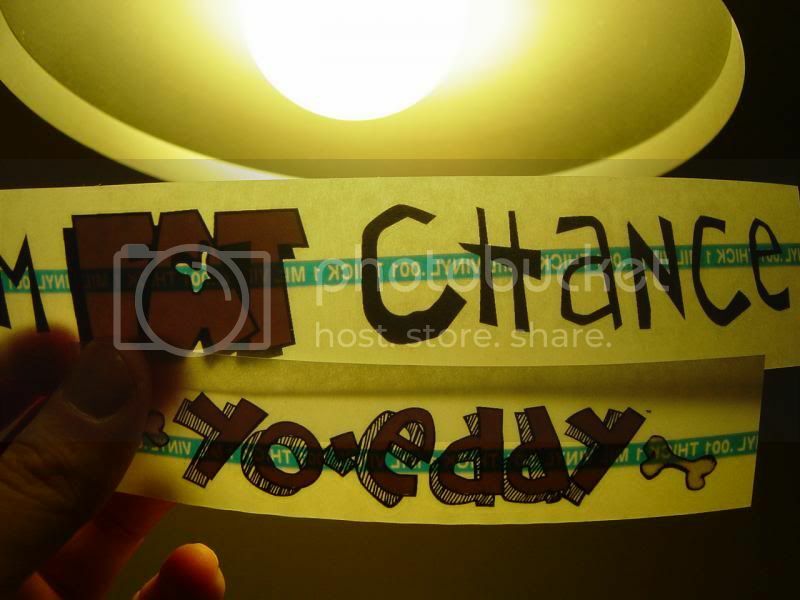 I've contacted Rody and he does not have regular Fat Chance decals (just the Yo Eddy decals). Where can I get some regular Fat Chance decals or a sheet of variety as shown on Doug's original post (with the Wicked & regular fat decals)? FAT ti decals or proofs? Anyone got any repro FAT Titanium decals or proofs they could send me please? Wanna sell your medium Monster? 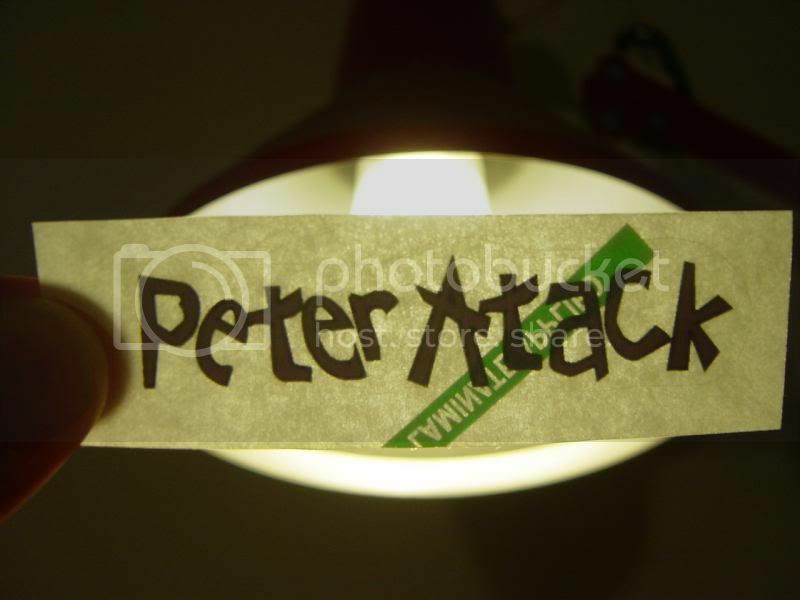 go to www.retrobike.co.uk and seek out the member "gil_m" he did my yo decals and think he also does late eighties fat decals to. I have never seen anyone do a repro of the Ti decals, and it seems that YoKris on this forum is the only one that is able to supply. These are the originals though, and the price is accordingly expensive. Thanks guys, Gil has done decals for me before but if possible I wanted to get proofs to perhaps fabricate some metallic style decals. Is there a current source for Monster Fat Chance decals? I appreciate the previous Post, however, I have a time is money approach and would love to buy a couple of original Fat Chance decal sets ... one in Yellow and one in Black if they are still available. Can someone please direct me to a current source for purchacing these? It would be greatly appreciated as I am about to have a full renovation done on two of my original owner bikes. 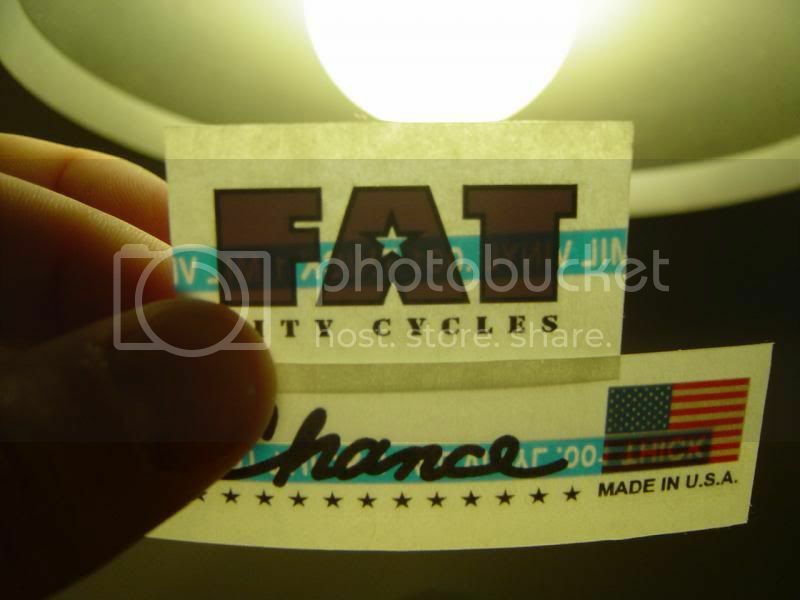 For what it's worth on decals for Fat Chance bicycles. Here's a link that I recently found. 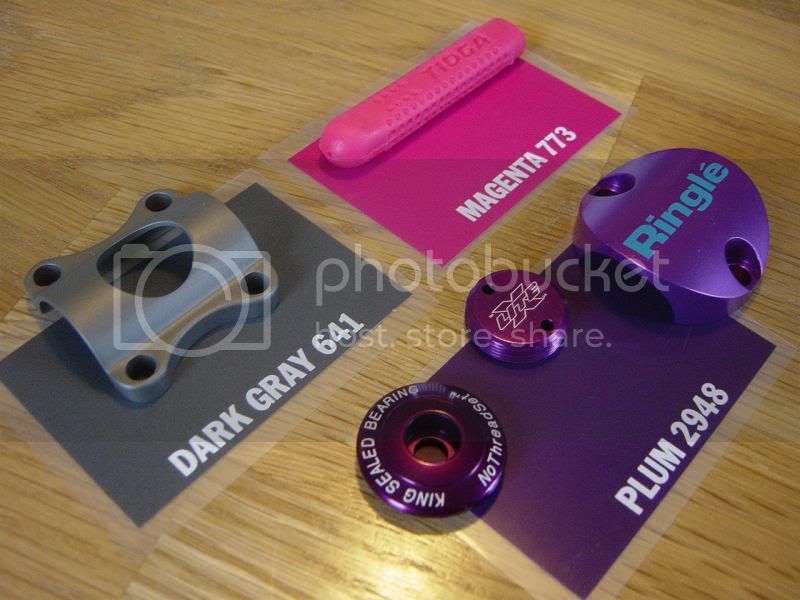 I've used velocals for a few different bikes and the Yo Eddy set I purchased from them was of very excellent quality. I'm waiting right now for them to make me a set for my wicked so I can have it repaired and sent off to paint. They have the true temper decals as well. ^^^^^ This. I posted some pics of my Ritchey i refurbished with his decals, excellent wet or dry application. Very nice to deal with. I'm trying to build back up my 87 fat chance I need a black sticker kit. Could someone please help me out if possible? if you have a Wicked, there you go. If you have the "regular" Fat Chance, you could remove the "wicked" part or I know they would be happy to make you a set if you email Christine there. very nice folks. Does anybody know the decal colors of the stickers on a Fat Chance Yo Eddy (1993) in yellow? I have a source for the later BS decals but I need the earlier type head tube cartoon of Chris if anybody has one going spare or even a full Somerville set. I inquired about a customized set of decals to Velocals three times, the first time, it took 4 months and I got an email apologizing for the delay, but to submit more detailed instructions of what I wanted... so I did, and never heard back. ...thought maybe they weren't specific enough, so bought a wacom cintiq, drew them up, and resent everything for the third time providing full .eps and .ai files, offering to buy multiple sets to make it worth their while. ...never heard back on any of it. whole bikes done and sitting here all year with no decals. awesome.